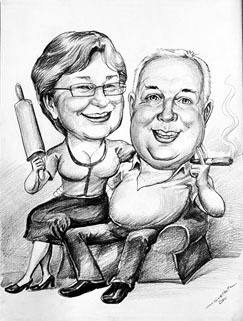 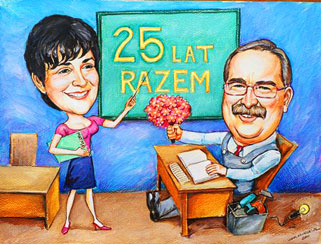 Surely we all love their parents also grandmothers and grandfathers, we want to present the Grandparents Day to get a be unique, for this we and our company, we offer artistic work as caricatures or portraits from photos. 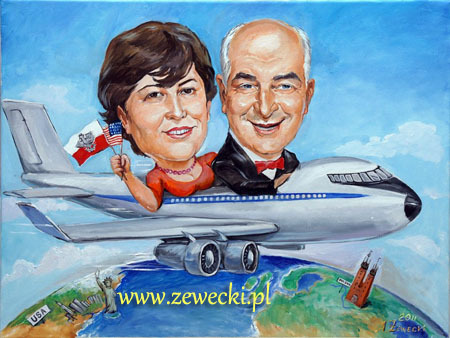 The work done on paper High quality and paints on canvas with acrylic paint or oil on any format. 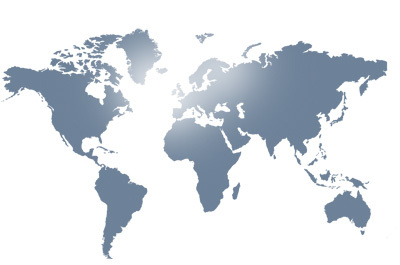 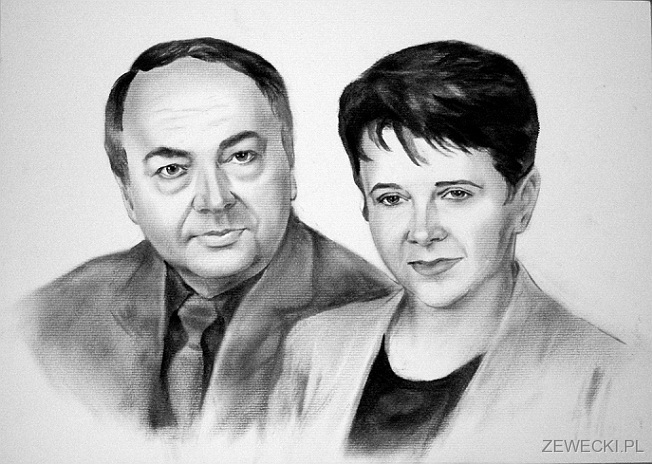 The work is characterized best quality, very similar to those drawn, high-speed performance. 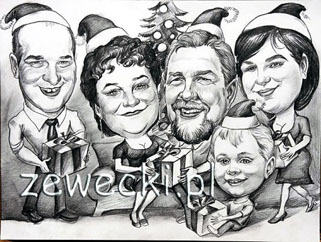 Therefore, we performed the cartoons have more character than for portrait and satirical, which in the end makes the gift has a positive reception by the gifted person. 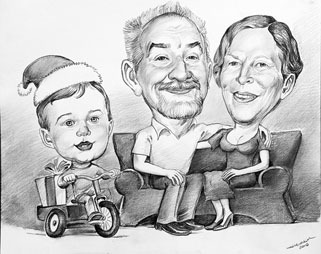 Opportunity to order a gift is quite a lot-birthday mother or father, name, wedding anniversary, Christmas, Easter Holidays, Nicholas, Grandparents Day, We Day, Dad's Day, window sills, retirement, promotion, thanks from the bride and groom at the wedding. 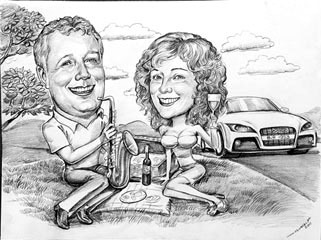 cartoons from the picture perfect gift idea because you can caricature place the interests of the persons placed in the drawing up an expensive hobby as a luxury car or a bike. 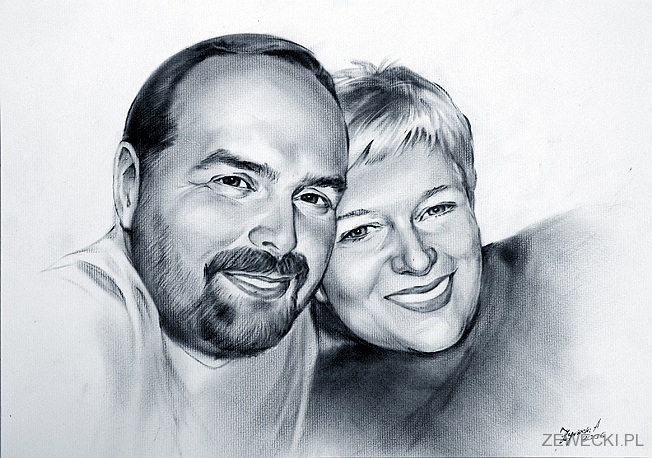 You can put in drawing as a dancing couple on a park bench, on a plane, on a boat, boat, by bicycle, on horseback, on holiday under the palm trees, skiing, or any composition suggested by you. 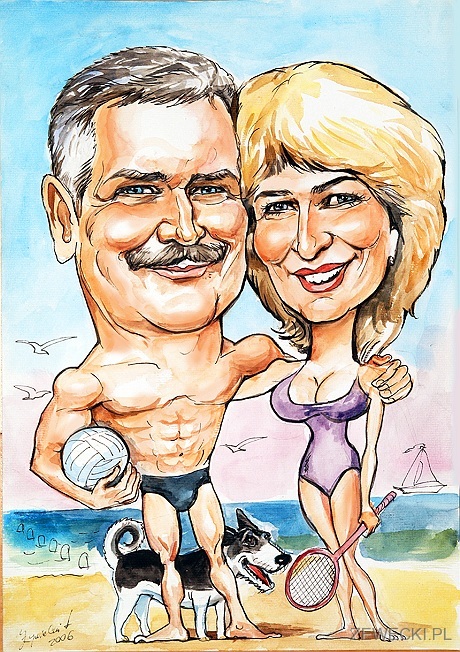 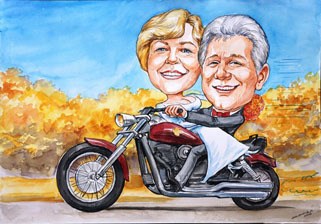 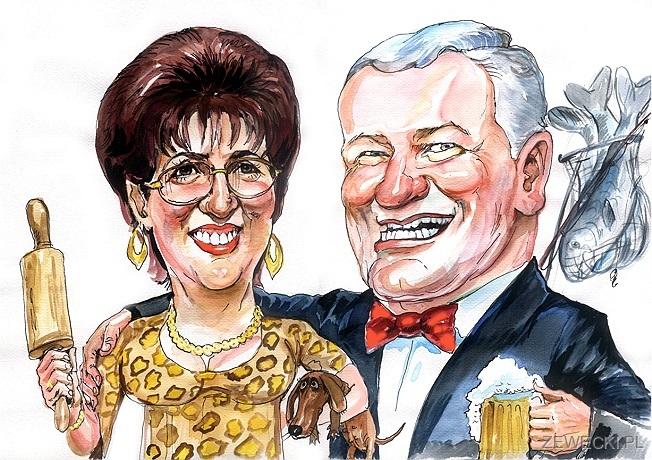 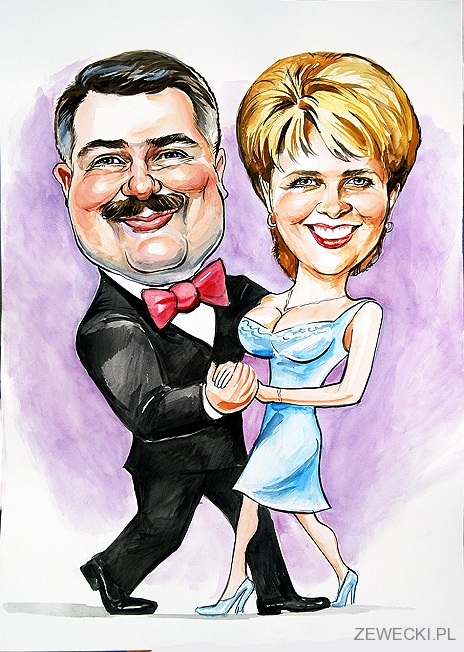 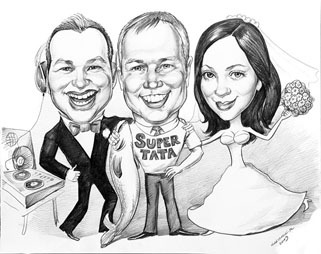 to order a caricature or portrait is required to clear a photo or a few photos of the person. 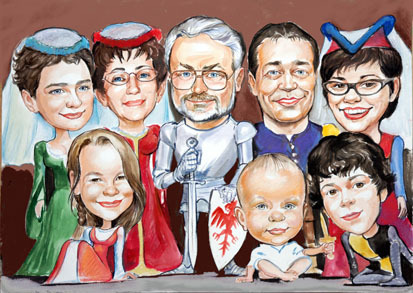 Image quality and recognition is direct relevance on the final result, so please feel free to pre- prepare or make specially order the parents.